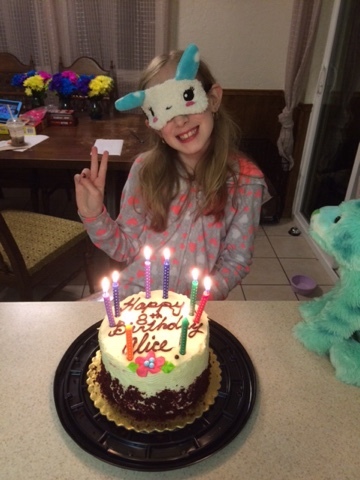 Alice Independence: Happy 8th Birthday Sugar-bear! 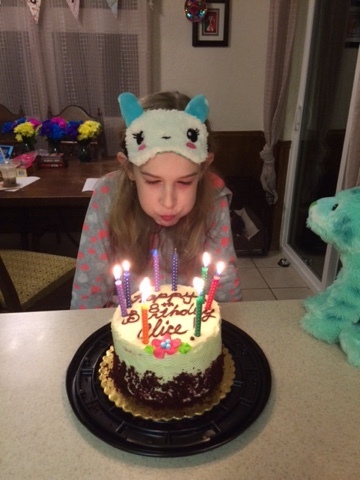 Alice's birthday took 3 diffent events to celebrate. On January 1st, Mom and Dad surprised Alice with a trip to Houston's America Girl to get the brand new Girl of the Year. Alice has been talking about going to AM on New Years day for months, but we never committed, so it was a surprise when we woke her up and loaded her into the car. 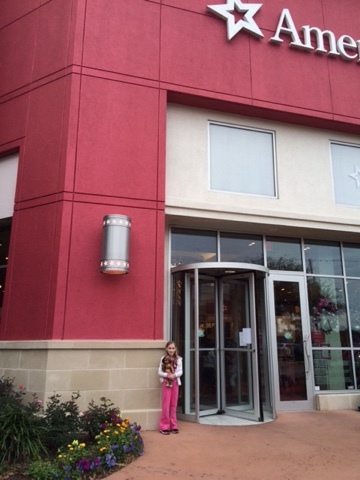 We stood in line and waited for our turn to enter the store and see the new girl. Her name is Lea Clark. 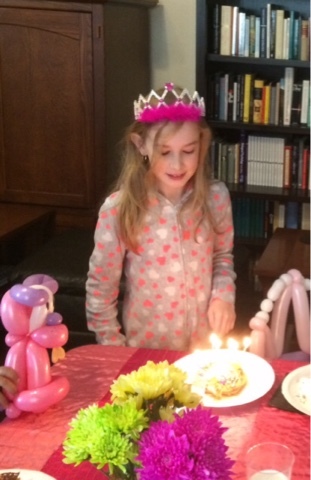 The second event was her birthday party on the Saturday before her birthday. The theme was Pancakes and Pajamas ( and mustaches too :-). 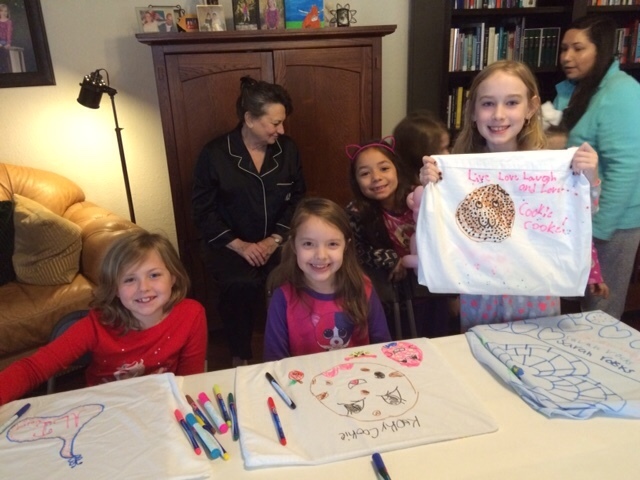 The girls (20 2nd graders) came for breakfast in their PJ's. Dad was the pancake chef and the girls topped them with syrup, sprinkles, chocolate chips,sugar sprinkles and whip cream. While the girls ate, a balloon artist made them animals, crowns, etc.... Next the girls decorated pillow cases with fabric paints and lastly, we played musical chairs. I'm pretty sure everyone had fun. The last birthday event was a small intimate affair at home. On her birthday Alice got to pick what she wanted for dinner. The gourmet meal she selected was........McDonalds - cheeseburger, fries and a shake. Afterward we had red velvet cake. Happy Birthday sugar-bear!